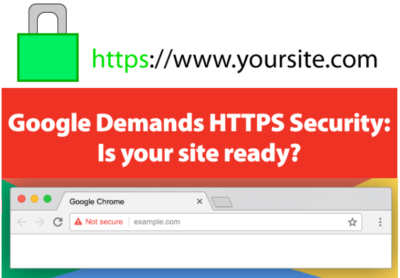 Almost two years ago, Google promised to Name and Shame websites that do not offer users encrypted connections. Well that process of calling you out starts with the launch of Chrome 68. I’m not here to rehash old news, you can read all about why SSL’s are important here in this Wired.com article or 100’s of others like it. Prices range from $14.99 – $1800/year. It all depends on the type of website your have, complexity of the architecture, are you collecting sensitive information and what your hosting environment looks like. Most of my clients ended up with a Domain Validation SSL because they had no sub-domains and were not taking credit card info online. Here is an explanation of the different types of SSL’s. The brand you buy also has an impact on price with Symantec on the high end and RapidSSL’s on the low end. There are even a few free ones offered by web hosts as a promotion to switch your service to them. There is also a collaborative project called Let’s Encrypt that offers free SSL’s. But for me, the process looks complicated. If you are not tech savvy, the process can be complicated and cumbersome. It takes time and patience and most business owners just don’t have the time. I recommend you speak with your hosting service and ask if they provide the installation service. Most charge a fee to install 3rd party SSL’s and they may include the cost of installation if you buy the certificate through them. For the SSL’s I installed for my clients, I charged 2 hours of my time…so $160.00 for all the back and forth with the vendor during the validation process and the actual installation. Often there are image files and CSS file paths that complicate the process and it may take some time to iron those out. 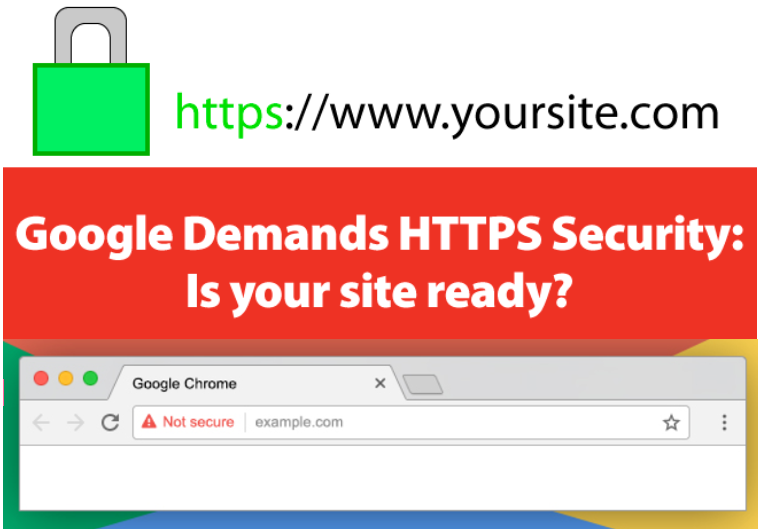 If you want all the benefits of website marketing and an SSL installed, let’s schedule an appointment.